20 versatile watts from a popular series with the latest features. 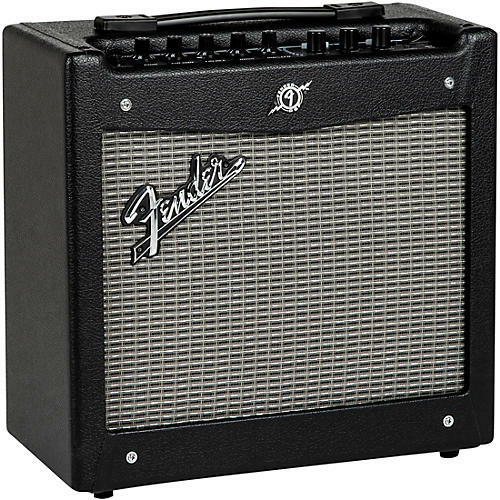 The Fender Mustang I V2 guitar combo amp adds new features to one of the best-selling amp series in the world. Get the flexibility you've come to expect from a Mustang. The V.2 series raises the standard for versatility and muscle. Featuring five new amp models, five new effects and intelligent pitch shifting. The series features USB connectivity and FUSE software, letting your musical creativity and imagination run wild. Call or click to get this compact member of the V.2 Mustang series.